The story began in 1880, when Captain Vincenzo Fondacaro from Bagnara Calabra, along with Orlando Grassoni from Ancona and Pietro Troccoli from Camerota, who had all emigrated to Uruguay, completed an amazing Atlantic crossing, inspired by a deep love of their country. 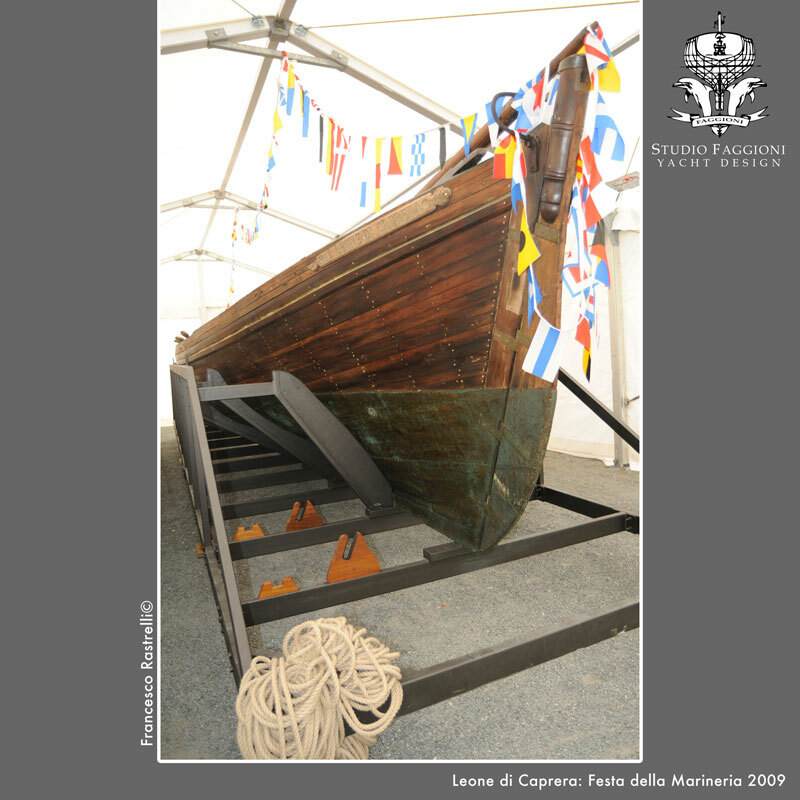 Supported only by their ideals and their courage, they built a distinctive craft just over 10 metres long, called the Leone di Caprera in homage to Giuseppe Garibaldi. The three sailors set out from Montevideo in the face of a general lack of interest and widespread scepticism. 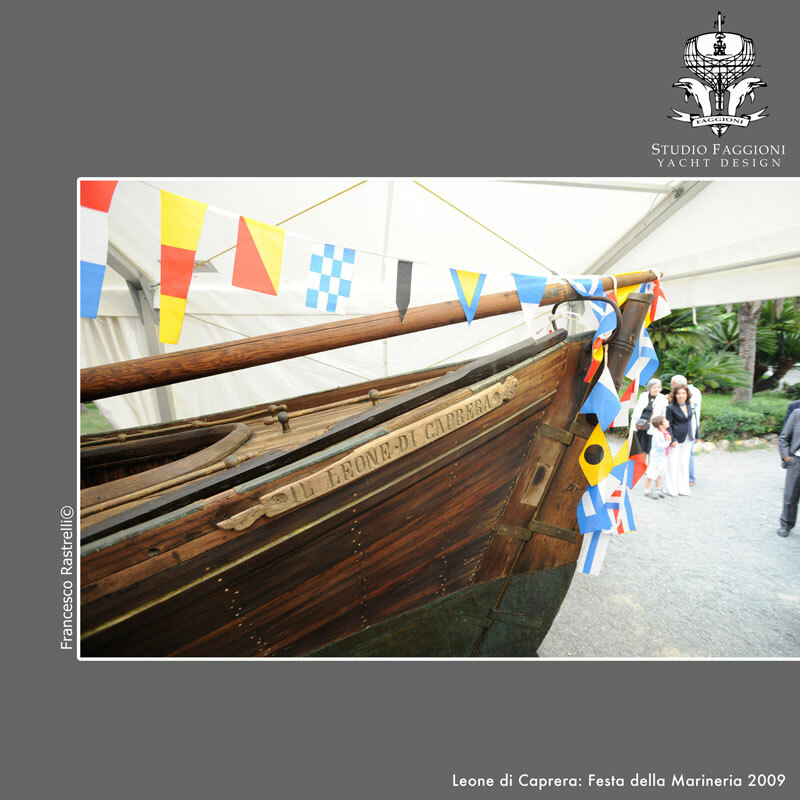 Their dogged determination led them to succeed in an enterprise that's now acknowledged as one of the great feats in Italian sailing history. They sailed across the Atlantic in a hundred days, hoping to reach Caprera and receive a warm welcome from Giuseppe Garibaldi. They thought they would be seen as compatriots and examples of maritime daring by their fellow-countrymen. After reaching Malaga, they ran out of money and could not go on. 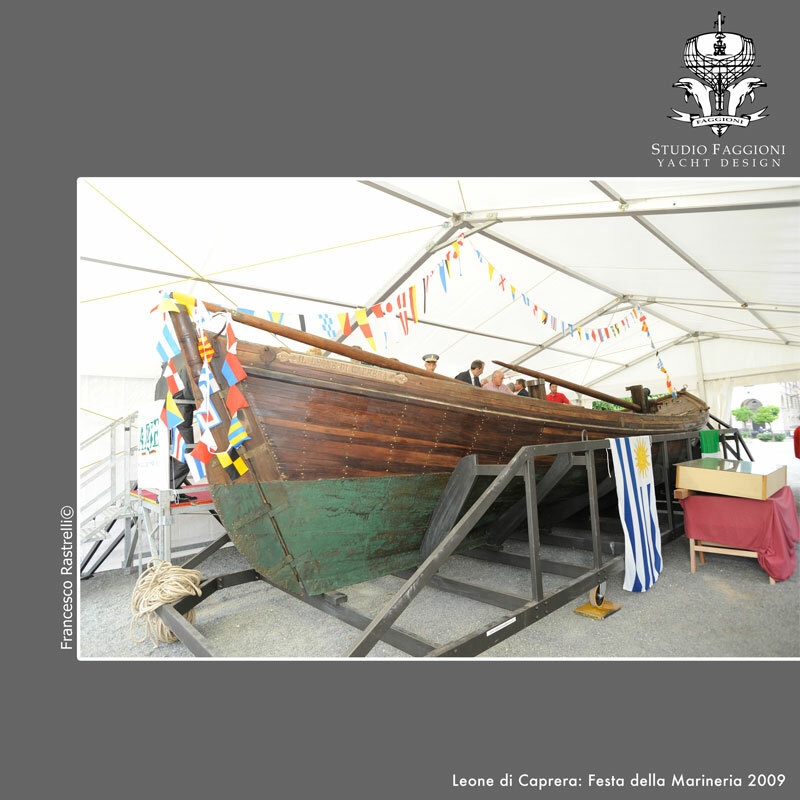 They loaded the Leone onto a British ship and on 9th June 1881, they entered the port of Livorno. The three sailors wanted to donate their craft to a museum. But Italy turned a deaf ear to their entreaties - the three fell into disgrace, and were forced once again to emigrate. Vincenzo Fondacaro was lost at sea after leaving Buenos Aires on 30th May 1893, Orlando Grassoni died in 1901 while Pietro Troccoli passed away in 1939, in Montevideo, still talking about his extraordinary voyage. Fondacaro was forced to sell her for much less than her real value to the city of Milan, and the Leone became the property of the Risorgimento Museum. In 1953 she was moved to the city's Museum of Science and Technology. 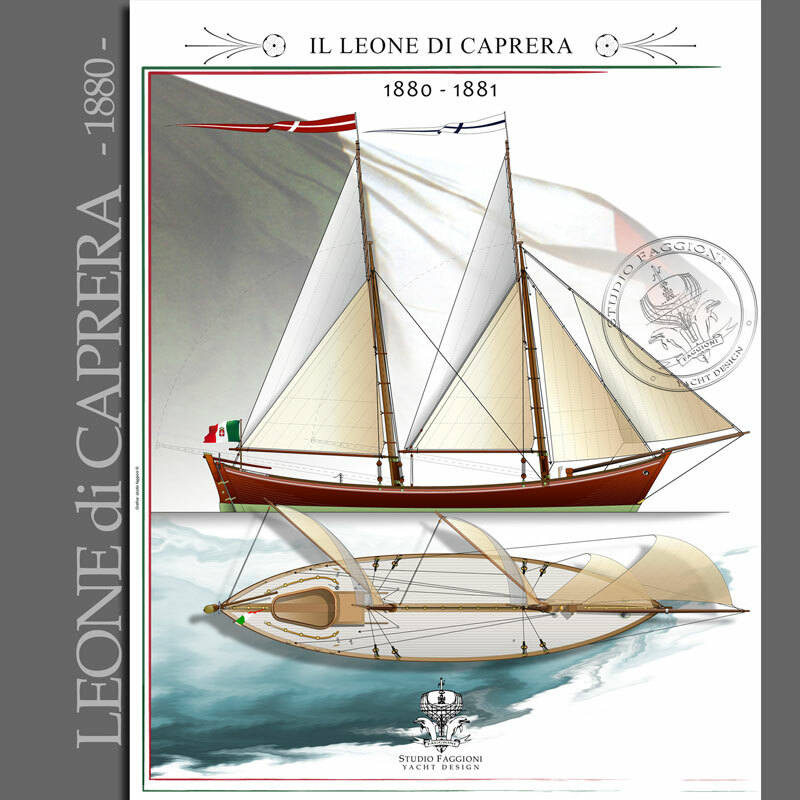 In 1995 the Leone was given as a free loan to the authorities in Camerota, to commemorate Pietro Troccoli. 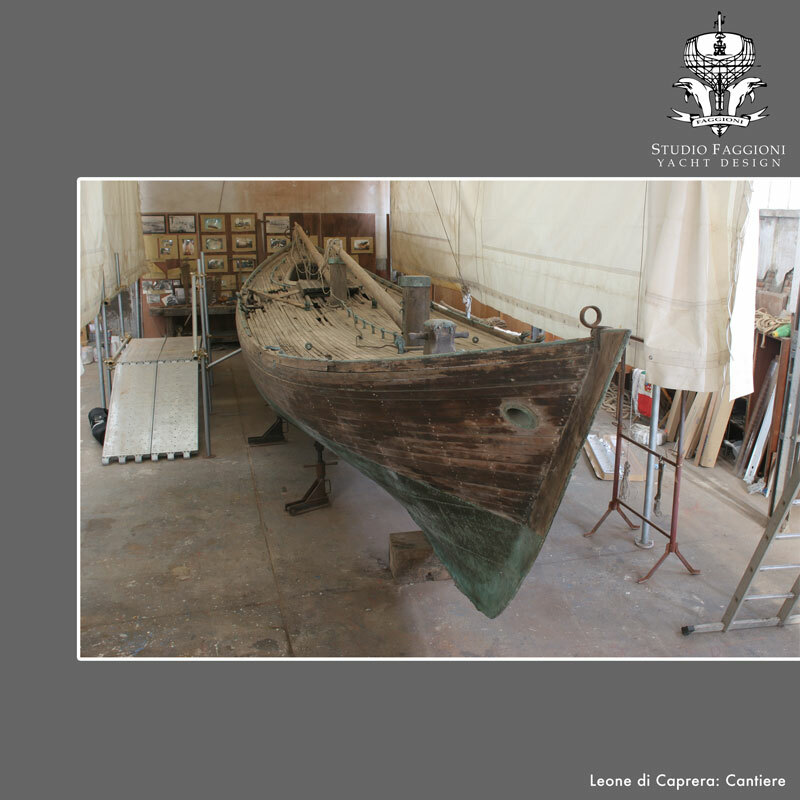 The intention was to restore her, but she languished in a cave near the sea until the Environment Ministry agreed to finance her restoration on the condition that the Leone would be returned to a suitable museum setting in the Parco del Cilento. Endless red tape delayed the start of work by A.R.I.E., with the consent of the Milanese authorities and the Central Institute for Restoration in Rome. On 27th March A.R.I.E., with the help of Finance Police facilities, transported the Leone to Francesco Crabuzza's Old Fashioned Boats yard in Livorno, where work began under the supervision of Studio Faggioni Yacht Design from La Spezia. The Leone's problems weren't yet over, and A.R.I.E. completed its task only because it showed the same bloody-minded determination and enlightened folly that had driven Grassoni and Troccoli to follow captain Fondacaro. A.R.I.E. had two years to finish the museum restoration. The organisation respected the agreements and won institutional consent and recognition, taking on even more work than originally intended. This also involved considerable financial outlay. Finally, in Livorno on 9th June 2009, A.R.I.E. 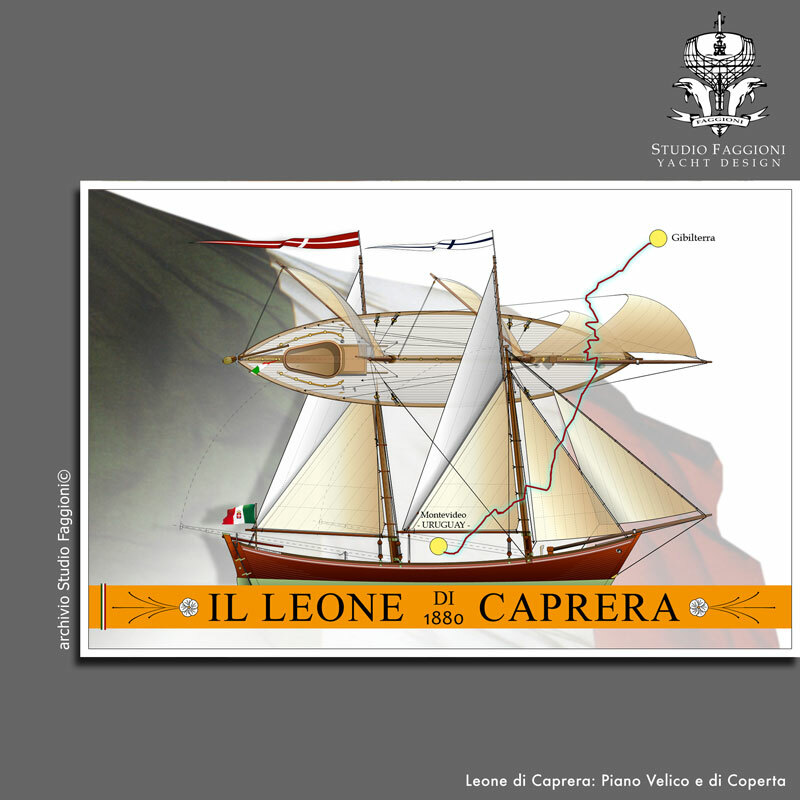 proudly presented the "museum launch" of the Leone di Caprera. She was joined for the occasion by the old man from Camerota. His name is Orlandino Troccoli, the great grandson of Pietro Troccoli, one of the men who completed the crossing from Uruguay to Italy in 1880. The Leone's rebirth was a cause for celebration. The panels around the Leone on the quayside not only told her story, they also recorded the recognition given to A.R.I.E. for its precious contribution to Italy's culture, from the Prime Minister's to the Ministry for Heritage. The partners in the enterprise were also acknowledged - the high command of the Financial Police, which had provided invaluable logistical help, the La Nazione newspaper and Studio Faggioni. 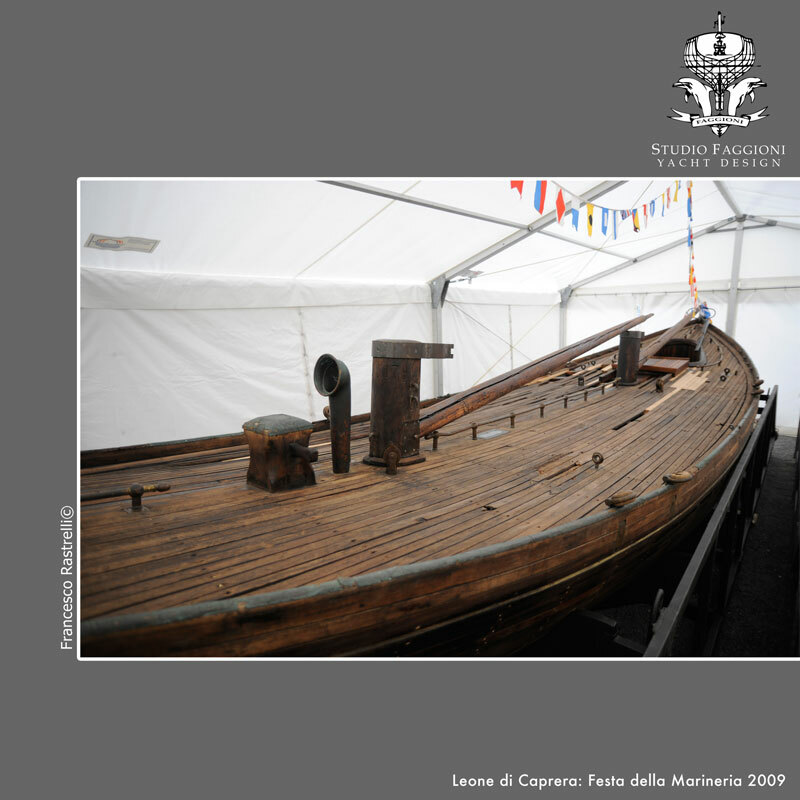 The Italian postal service issued a stamp depicting Garibaldi and the Leone, with a special postmark, on the day of the relaunch, while commemorative brochures and postcards were snapped up by the public, entranced by the story of this small boat and its incredible achievement. She was adorned with colourful bunting and flew the flags of Italy and Uruguay as a mark of unity and brotherhood - and this time the authorities were willing to give the three heroes the honour they deserved. The audience included representatives from the Livorno authorities, the Financial Police, the Carabinieri, the Port authorities and the Italian Navy. The Uruguayan consul for Tuscany, Silvio Fancelu, also attended, alongside representatives from the Chamber of Commerce, Assonautica, Angopi of Livorno, the municipality of Bagnara Calabra and the Livorno Brothers of the Coast. Members of the National Garibaldi Association in their red shirts responded enthusiastically to the invitation from the president of A.R.I.E. The sound of a rare edition of Nabucco, recorded live at the San Carlo theatre in Naples in 1949, opened the ceremony. Giulio Guazzini was the narrator, and Cino Ricci was the patron of the event. 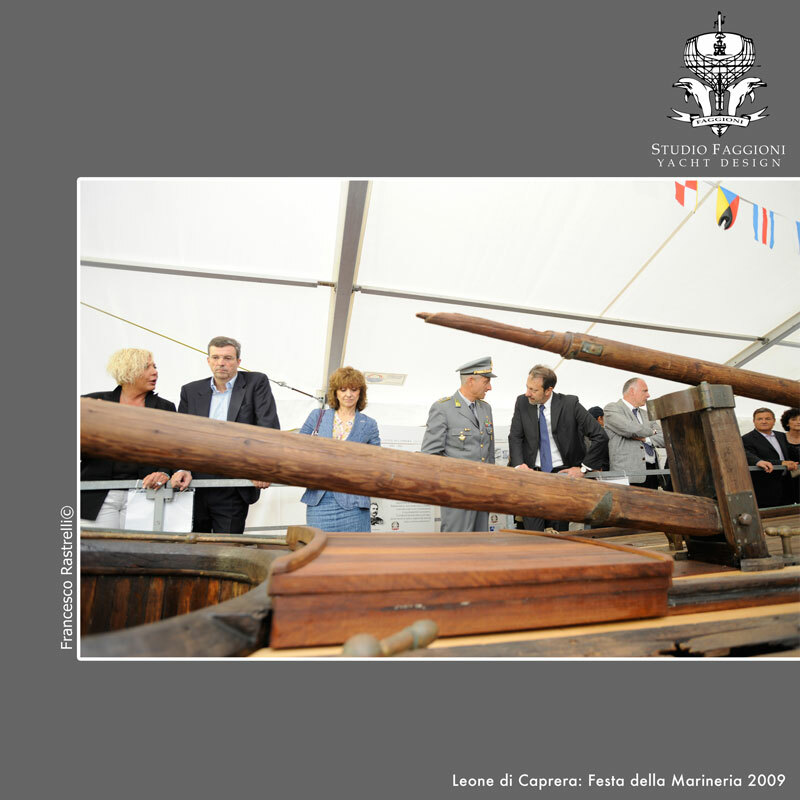 Letters to ARIE from Italian President Giorgio Napolitano and the Historical Research Centre of the Montevideo Naval Museum were read out. Acknowledgments were made and received by A.R.I.E., including thanks to everyone who had worked so hard. Father Gabriele Bezzi, Finance Police chaplain for Livorno, one of whose forebears fought with Garibaldi, gave the blessing. Father Bezzi also wrote a special prayer. "Almighty and eternal God, bless this glorious craft that challenged the ocean in such a perilous enterprise. Now that its name has returned to enrich the pages of our history, may it continue to exalt our homeland's maritime traditions with pride." Then the two national anthems, embraces, photos, toasts and cake - white, red and green, of course! The curtain fell. Goodbye, Leone di Caprera. The quayside emptied. One thing remained - the meeting between the boat and Giuseppe Garibaldi himself. We leave for Ma?na, where La Spezia authorities and Stefano Faggioni have made this small miracle possible. There's no museum at Camerota. The Leone returns to the Livorno yard. Cino Ricci would like to see her in a glass cube on the sea and many museums have offered their help in the interim, but once again, all is silent. Per saperne di pi?, leggi l'articolo sul web magazine B.E.C.